The electrical system on a recreational vehicle (RV) can mean the difference between modern conveniences that you have become accustomed to, and living with the luxury of air conditioning (which can be detrimental if you do not have in our area), hot water, coffee, and having the lights powered. It may not be your engine, or tires, however it is a very important part of your RV. You should schedule regular maintenance and checkups on your RV with each season. We can help you if you need to schedule a maintenance check. Don’t let your RV electrical system stop working properly and leave you without. 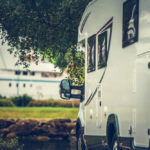 In addition to RV electrical troubleshooting and repairs, our RV repair technician is equipped to provide annual maintenance on the following systems that require annual maintenance. Need repairs made to your RV refrigerator, RV air conditioner, or RV Toilet? We can help! Give us a call for quick service!